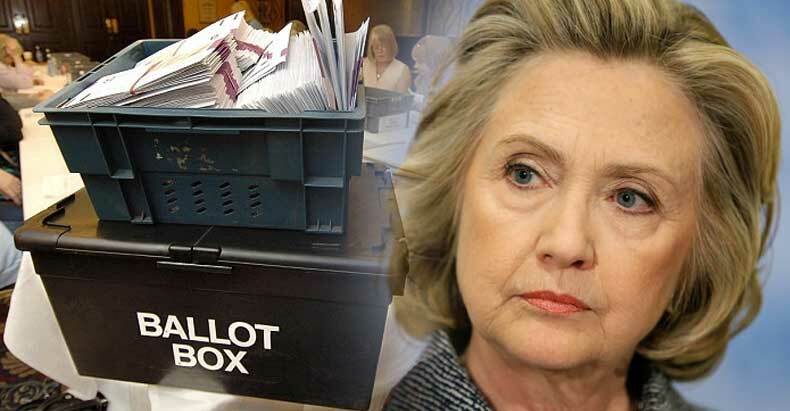 WIKILEAKS BREAKING: "NO U.S. ELECTION" -- HILLARY RIGGED EVERYTHING!! Let it be known: The Lord's Will will be done through his Son, the Messiah, Jesus Christ. And Hillary is powerless against it. "to arrange dishonestly for the result of something." 1) Wikileaks exposes that Hillary controls 65 of the most powerful media anchors, hosts, and columnists. They're literally working for her. This includes Politico's Chief Political Correspondent Glenn Thrush, who referred to himself as a hack in an email to John Podesta. He is absolutely right about that. 2) We now know through Wikileaks that the Clinton campaign hired Former Miss Universe Alicia Machado and planned, for months, to use her against Donald Trump. Again, it reinforces the point that Hillary's whole campaign is rigged. 3) Arguably one of the most disturbing things about Hillary's campaign is that several of her top strategists have been exposed in Wikileaks as engaging in "oversampling" Democrat constituencies. Wikileaks has revealed that oversampling is a strategy used by Hillary Clinton and can be used to influence the media. 4) A Clinton pollster called the Atlas Project was caught oversampling Democrat constituencies back in 2008. Oversampling was used by the Atlas Project and the Clinton Campaign to influence the media and the election. This is highly disturbing and shows how deep Hillary's rigging efforts go. 5) Bernie Sanders was one of the greatest victims of Hillary's rigging. Wikileaks has revealed that major entities who supported Bernie in the primary will be targeted by Hillary. One of these entities is called the National Nurses United. John Podesta and American Federation of Teachers President Randi Weingarten conspired to target the National Nurses United because they refused to support Hillary. 6) One of the most stunning rigging stories is that Hillary knew and planned Trump's violent Chicago rally. There is more than enough evidence to suggest she knew about it and other Trump uprisings, including the testimony of Robert Creamer, captured by a Project Veritas Action video. Hillary trumpets that she is the hero of women, but was willing to send a woman on oxygen therapy into a crowd of Trump supporters to be assaulted. Based on my research, Hillary could be convicted of violation of federal penal law for organizing or even knowing about a riot. 7) A current story is that a former CEO of the Clinton Foundation, Eric Braverman, requested political asylum from Russia (Not confirmed). Wikileaks revealed that Braverman had leaked evidence to a journalist about the Clinton Foundation and told the journalist to "follow the money" to find the real Clinton scandal. Two top Clinton aides, John Podesta and Neera Tanden, were distressed by the news, as it pointed to a bombshell inside the Clinton Foundation. 8) A new Wikileak exposes that the Clinton Foundation targeted Oxfam, an international relief organization, because Oxfam has released a report critical of Bill Clinton's recovery efforts in Haiti. Altogether, 13.5 billion dollars were donated to Haiti, and the Clinton's controlled quite a bit of it, but nobody really knows where the money went. 9) Wikileaks has revealed that John Podesta promised to sell executive privileges to super wealthy donors. John Podesta was a close aide to Obama, and even closer to Bill and Hillary. There was also evidence that Hillary erased the nation of Algeria from the terrorist watch list after they gave a donation to the Clinton Foundation. 10) Terrence McAuliffe, a longtime Clinton friend and insider, donated approximately 500,000 dollars to the state senate candidacy of Jill McCabe, the wife of the deputy director of the FBI. We now know the investigation has been reopened by James Comey, and it may not be related to Human Abedin's emails on her computer. Rather, it could be because the hacking group Anonymous sent Comey the 30+ thousand missing emails. 11) Congress has still done nothing punitive to Hillary. Paul Ryan won't let them. 12) Rigged polling was evident in the primary, when a Michigan poll release showed Hillary ahead by 27% moving into voting day, but she lost by 1.5%. The polls are, or course, rigged, and we know this from a Wikileak showing that the Clinton Campaign knew Michigan was very close but released grossly oversampled polls anyway.